So today I’m saying goodbye to Foxy Friends and the Foxy Builder punch, its one that I don’t think is totally my style, but my five year old daughter has had loads of fun with it so its not one I’ll be saying goodbye too just yet. This card came together very quickly with the help of some pos-it notes to mask off some of my background trees. The little fox was stamped and the punched out with the punch but with the racoon I fussy cut him to show they are quite easy images to cut so you can layer up a little scene. If you love this set then I suggest a look over on Pintrest, there are loads of great ideas for many different little critters which people have created. 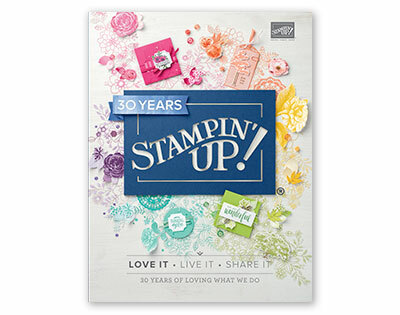 Yes its that time of year again when we have to say goodbye to many of the products in the Annual Catalogue, but the good news that makes way for lots of new goodies and I can guarantee you’ll love the new catalogue its lush!! As always supplies are while stocks last so don’t delay….shop straight away……. Today’s project has been brewing in my head ever since I saw the Buffalo Check stamp, its pattern is very similar to one in the Under the Mistletoe DSP pack, so I decided to use it as a background for this simple Mistletoe card. The Mistletoe Season stamp set is the perfect one for beginners and avid crafters alike to use as there are so many gorgeous combinations you can come up with. I’ve used the two mistletoe sprigs for the main focal point of this card. 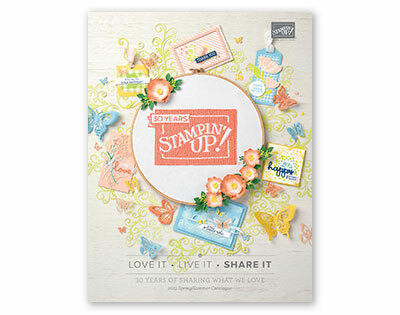 These are two-step stamps with a difference, they don’t completely line up, making them a great starting point for beginners. I stamped my outline mistletoe in Pear Pizzazz and then took the filler stamp, inked with Pear Pizzazz again but stamped off on scrap paper before stamping on my image. I love how the two-tone image gives the card some depth. A simple bow stamped in Real Red finishes off the main image. As mentioned above my background was created with the Buffalo Check stamp again with Pear Pizzazz. The Merry Christmas greeting in the bottom corner adds a greeting. To finish the card I added three clusters of the white enamel dots in the Santa’s Workshop Enamel Shapes to perfectly replicate mistletoe berries. A simple card which is quick and easy to replicate for those last minute cards you need to make.